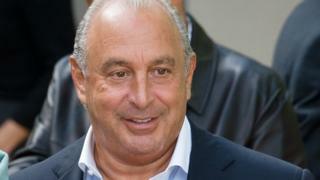 Lord Hain has defended naming Sir Philip Green as the man behind a court injunction, preventing a newspaper publishing allegations of sexual and racial harassment. The Daily Telegraph was not allowed to identify the retail tycoon but the peer used parliamentary privilege to do so. A barrister said Lord Hain's conduct was "completely improper", but the peer said it was "the right thing to do". Sir Philip says he "categorically and wholly" denies the allegations. The Telegraph first reported on the injunction on Wednesday, saying a "leading businessman" had won a legal battle to stop the newspaper printing "confidential information" from five employees. It says it spent eight months investigating allegations of bullying, intimidation and sexual harassment. After he was contacted for comment in July, Sir Philip and a number of senior staff applied for an injunction to stop details being published, the Telegraph said. A High Court judge refused to grant the gagging order the following month, but Appeal Court judges ruled in Sir Philip's favour on Tuesday this week. The Telegraph also reported that interviews with five members of Sir Philip's staff revealed that "substantial sums" had been paid in return for legal commitments not to discuss their alleged experiences. 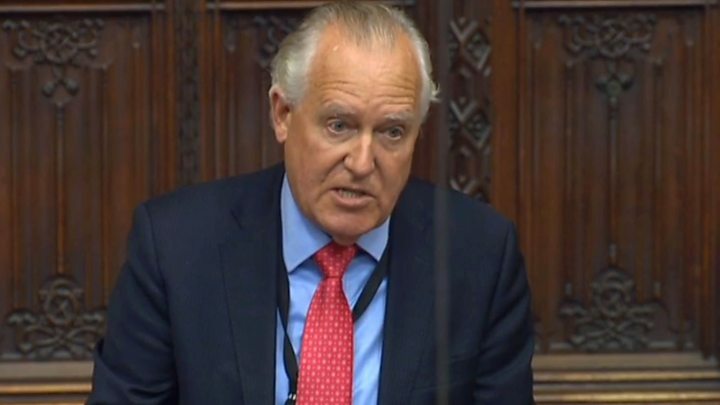 While the Court of Appeal's temporary order banning the naming of Sir Philip remains in force, Lord Hain told the House of Lords he "felt it was his duty" to identify the Topshop boss and that it was in the public interest. Media captionLord Hain said the details were "clearly in the public interest"
The former Neath MP said he had been contacted by someone "intimately involved in the case" and, given the use of non-disclosure agreements (NDAs) "to conceal the truth about serious and repeated sexual harassment, racist abuse and bullying", he felt he should speak out. Parliamentary privilege protects MPs or peers from being prosecuted over statements made in the Commons or Lords, and is one of the oldest rights enshrined in British law. 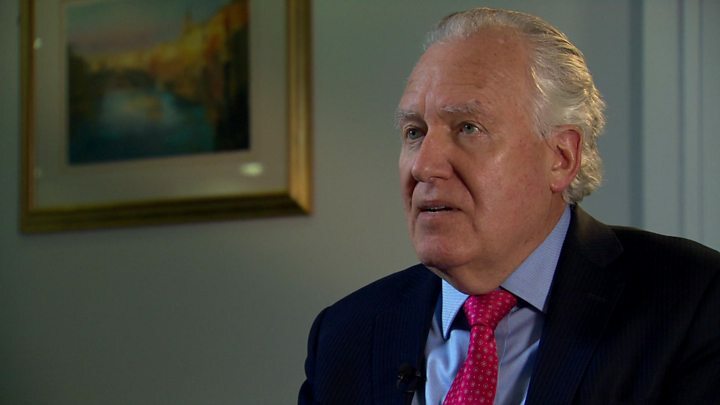 Speaking later on BBC Newsnight, Lord Hain denied he was undermining a decision of the courts, saying: "I considered it extremely seriously before I said it." "I'm not disputing judges' responsibilities or timing or anything like that. That's a matter for the judiciary," he said. "I'm discharging my function as a parliamentarian - and what concerned me about this case was wealth, and power that comes with it, and abuse." Lord Hain said while there had been some criticism of his decision on social media, he had received "overwhelming support - particularly from women". Why was Lord Hain's intervention unexpected? Labour MP Jess Phillips said Lord Hain "did the right thing", adding: "It was brave and I doubt he took the decision lightly." But Barrister Hugh Tomlinson QC said the courts were the "proper institutions" for deciding the issues raised in this case. Mr Tomlinson, a founder of the Hacked Off press regulation campaign, said: "Parliament can't trespass into areas of the courts and say we think the courts have got it wrong - and that's what Lord Hain is effectively doing." Former Labour Home Secretary Alan Johnson also questioned Lord Hain's actions, telling the BBC there had to be a very good reason for a parliamentarian to breach the decision of three senior judges who had seen the evidence. Lord Evans, the new chairman of the Committee on Standards in Public Life, told BBC Radio 4's Today programme that "the ability to raise issues in Parliament without fear of them being brought into the court, I think is an important safeguard in our system". There have been calls for Arcadia chairman Sir Philip to lose his knighthood if the allegations are proved to be correct, from MPs including Liberal Democrat leader Sir Vince Cable. And Labour's Frank Field, who led condemnation of Sir Philip over the BHS pension fund scandal, said: "The charge sheet against the knighthood is growing." Sir Philip's recent fall from grace came after he sold the retail chain BHS for £1 in March 2015 and it then went into administration, leaving a £571m hole in its pension fund. Meanwhile, pledges to boycott Sir Philip's stores, including Topshop, have been made on social media with the hashtag #pinknotgreen, with #feministsdontweartopshop also trending in the light of Lord Hain's statement. Sir Philip said in a statement on Thursday night that he would not comment on anything that happened in court or was said in Parliament. "To the extent that it is suggested that I have been guilty of unlawful sexual or racist behaviour, I categorically and wholly deny these allegations," he said. Sir Philip said he and his company, Arcadia, "take accusations and grievances from employees very seriously and in the event that one is raised, it is thoroughly investigated.